Can of 300ml butane gas refill for gas lighters. 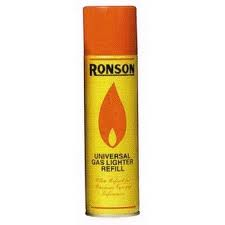 A plastic carton of 12 X 300ml Ronson gas cans. Great deal - get 12 cans for the price of 10 - 2 free. 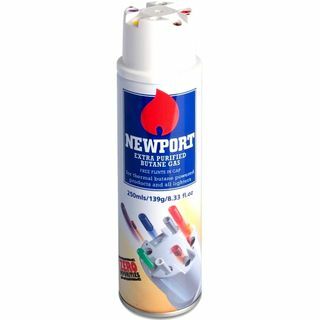 Can of 90ml butane gas refill for gas lighters. 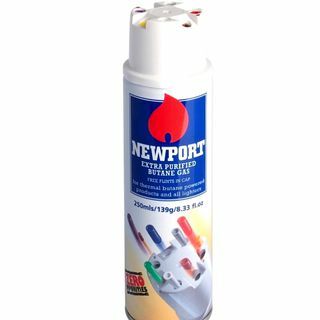 Can of 12 X 90ml butane gas refill for gas lighters. Pack of 9 blister packed flints for Ronson lighters. Carton of 24 packs of 9 Ronson lighter flints. 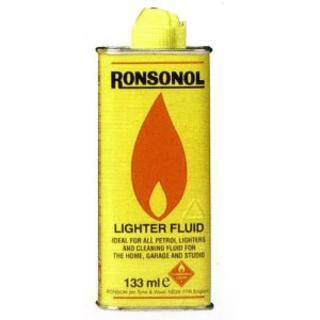 Carton of 12 cans 133ml Ronsonol lighter fluid for liquid fuel lighters including Ronson and Zippo. 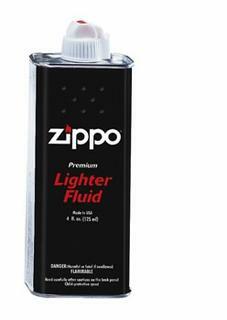 125ml Can of Zippo lighter fluid for liquid fuel lighters including Zippo. 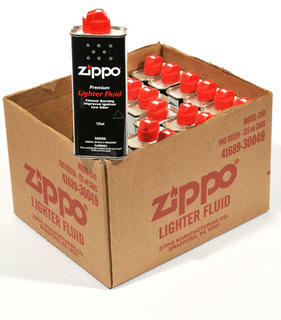 A carton of 12 cans of Zippo lighter fluid 125ml refill. 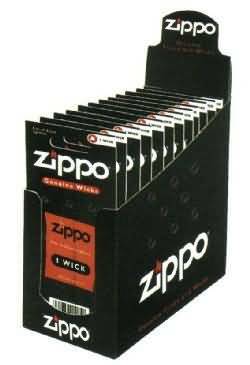 A plastic holder of 6 Zippo flints on a card. 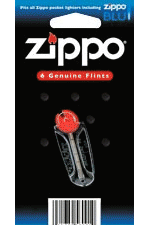 These flints also fit a Zippo Bluflame gas lighter. 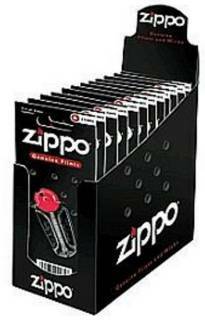 A carton of 24 Zippo flint cards. Great deal - get 24 cards for the price of 20 - 4 free. 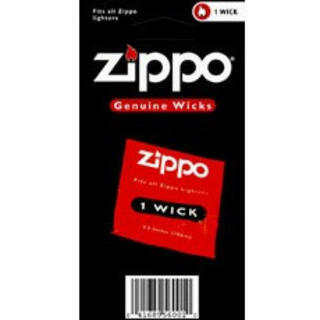 A carton of 24 Zippo wicks on cards. 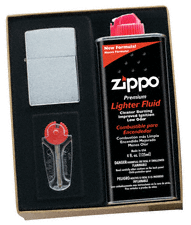 A gift box with space for a regular Zippo lighter and containing a lighter fluid refill can and a set of flints. A gift box for a slim Zippo lighter containing a can of lighter fluid refill and a set of flints. 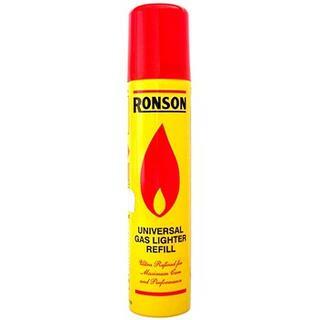 Can of 250ml butane gas refill for gas lighters. Can lid contains 8 different adapters for leak-free loading of various different lighter brands. List of the correct colour adapters to use for various brands of lighter is printed on the can. Two spare lighter flints are also provided in the lid. NOTE: Most of our gas lighters are ignited by piezo-electric or electronic spark and do not use ignition by mechanical striking of a flint to create a spark. Can is made in England. Butane gas/liquid is said to be "extra purified". Carton of 12 cans of 250ml butane gas refill for gas lighters. Can of Butane gas 300ml. 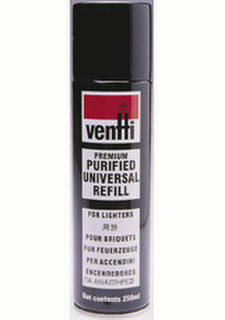 Purified universal refill for lighters etc. One carton of 6 cans of Ventti gas butane 300ml refill. Great deal - get 6 cans for the price of 5 - 1 free. Two cartons of 6 cans of Ventti gas butane 300ml refill.